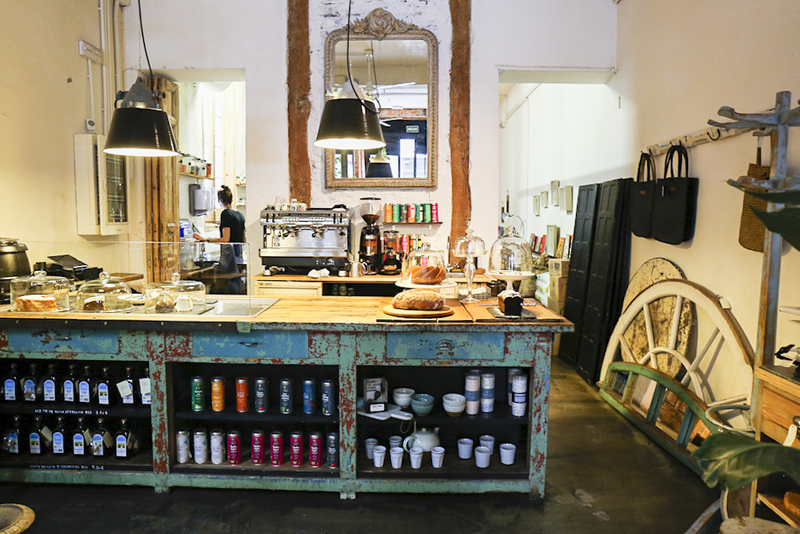 Tavolo Verde is one of those cafés where you can spend a whole afternoon with a book. And such places are indeed very rare in Madrid. But also with friends the Tavolo Verde is always a right address. The small dishes are healthy and simple and the interior – a colourful mix of antiques from all over the world – quickly suggests that the owners have something to do with art. And so it is. The young couple used to work in the art and fashion business and therefore have a feeling for particularly unusual things. When it comes to food, the homemade cake creations are especially recommended.